We are positioned in the market as one of the noteworthy Importers, traders and supplier of Hard Wooden Flooring & Deck Wood. Our offered range is chemical resistance, compact in design, attractive in design and cost-effective. Owing to our expertise in this domain, we are betrothed in importing, trading and supplying an exclusive array of Hard Wood Flooring & Deck Wood. The offered products are designed and fabricated at our vendors’ end using supreme grade wood at par with international quality standards. 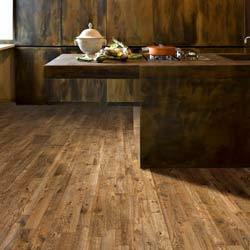 These are acknowledged for various distinctive features such as trendy, comfort, elegant look, chemical resistance, perfect finish and durability.